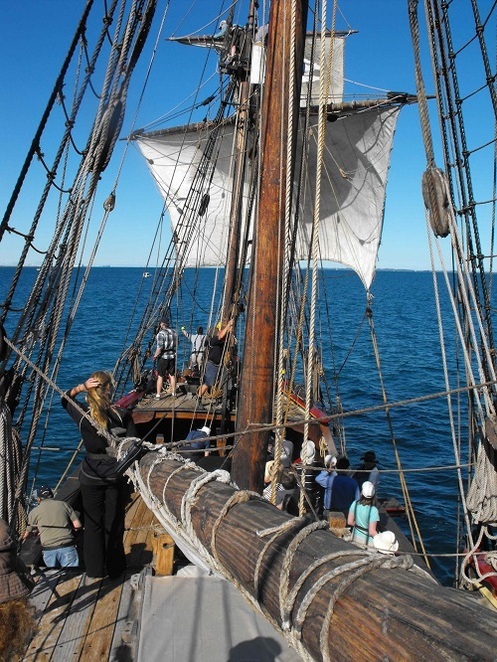 The Duyfken Foundation is hoping for fair winds when the Dutch replica sailing ship sets sail for its new home at the Aquarium of Western Australia (AQWA) on March 31. If the Fremantle Doctor does its bit, the plan is for the Duyfken to leave Fremantle around 11am and sail close to shore for the voyage from Fremantle to Hillarys, providing a spectacular view of the ship under full sail. 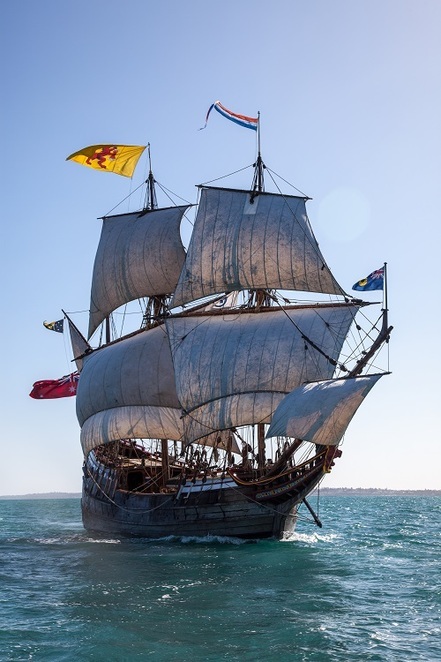 The replica Dutch sailing ship Duyfken will make a spectacular sight as it sails up the Perth coastline from Fremantle to its new berth at AQWA on March 31. The move is part of an agreement to base the ship at AQWA for the next three years to keep the Duyfken in Western Australia. It will go on display as a floating museum within the AQWA site at the marina each year from April to October until 2021. 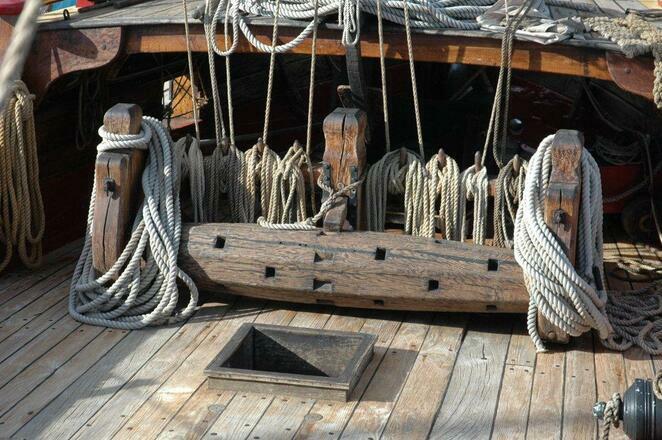 Around $80,000 has been spent making modifications at AQWA to accommodate the Duyfken. While the ship has been based in Fremantle it has allowed students, mainly in the southern suburbs, to gain a valuable educational experience, learning about the ships and sailors going back 400 years. The Duyfken provides an insight into what life at sea was like 400 years ago. The move to Hillarys will provide a better opportunity for schools in the northern suburbs, and particularly in the City of Joondalup, to visit the ship. As well as giving visitors the opportunity to go aboard the Duyfken, AQWA will open an external classroom to enable a broader understanding of the Dutch maritime influence along WA's coast. Duyfken Foundation chairperson Vikki Baldwin says the partnership with AQWA provides a new direction for the foundation in working with one of Perth's best known tourist attractions. AQWA general manager Catherine Buckley said the organisation was pleased to be able to provide a harbour for the replica sailing ship, which has a rich history and spectacular beauty. 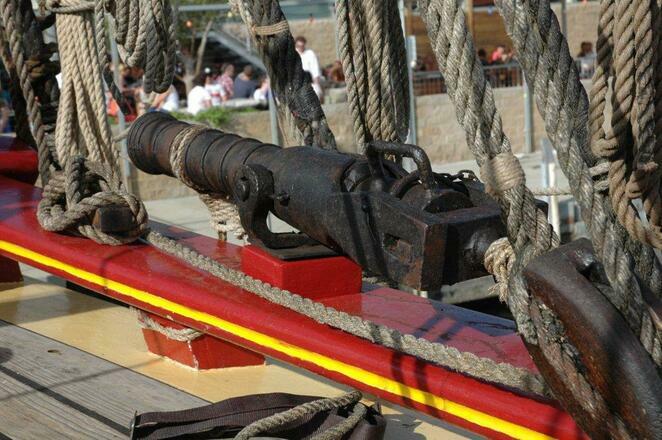 Visitors to AQWA will be able to board the Duyfken and inspect the replicas of 17th Century cannons. The Duyfken celebrates the first visit to Australia by Europeans, more than 400 years ago. Ms Buckley said the partnership with the Duyfken Foundation was a good fit for AQWA because both organisations were committed to engaging with their visitors, with AQWA offering a window into the ocean and the Duyfken providing a glimpse of what it was like to sail on it. In 2019 AQWA celebrates 30 years of educating and engaging with children and adults, and Ms Buckley said the relationship with the Duyfken would provide opportunities for schools in the northern corridor that may not otherwise have had access to the historically significant sailing ship. Aboard the Duyfken, visitors are taught the ropes about historic sailing ships - and there are lots of ropes to learn. The Duyfken has had more than eight million visitors walk its decks since it was completed 30 years ago, providing an insight into the ship's voyages which led to early European exploration of Australia. The move was also welcomed by Joondalup Mayor Albert Jacob who said that, earlier this year,the council had endorsed Joondalup councillor Philippa Taylor to investigate the option of berthing the Duyfken within its boundaries. He said having the ship at Hillarys would create a great attraction for visitors and help generate good economic and tourism outcomes. From April 6 visitors will be able to tour the ship every day between 10.30am and 4pm for $35 for adults and $23 for children aged four to 15. The price also includes admission to AQWA. Why? A chance to see the replica Dutch sailing ship Duyfken under full sail. When: March 31, leaving Fremantle at 11am and arriving at Hillarys at 4pm. Where: Along the coast from Fremantle to Hillarys.